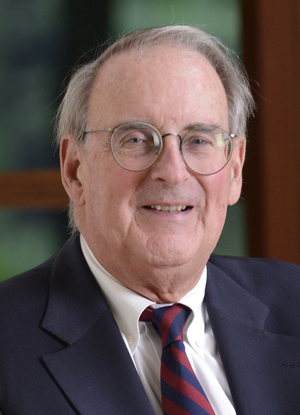 On April 13, 2013 Jonathan Fanton spoke before the Andrew Morehouse Trust Association about his long career in public service as a university leader, philanthropist, and human rights advocate. Let me begin by thanking Roger Vincent for inviting me to share some reflections with you and for all he has done to revitalize Spade and Grave. Only in the last few years have I fully appreciated how Spade and Grave prepared me for both my professional and civic responsibilities. My time as Chief of Staff for Kingman Brewster, my service as Vice President of the University of Chicago and President of The New School, and my leadership of the MacArthur Foundation all benefited from what I learned through intensely personal conversations in our modest tomb on the top floor of our Trumbull Street quarters. I came from a classical Connecticut Yankee family, intensely private, not prone to show emotion, or share feelings. As you can imagine, the autobiography was quite a challenge, especially since I went first. It was the most open I had ever been about my life and I was relieved there was no cross examination. Now liberated, I freely questioned classmates who followed with their personal stories. But my turn came when the group decided there would be a second round. Believe me, the questions were intense and my initial well-crafted presentation of my character and beliefs was tested. And I was a changed person by June. I understood differences more than before – different backgrounds, beliefs, values, ambitions. I gained an appreciation and respect for diversity. I learned to listen more deeply and developed an empathy for the challenges people face. These qualities were essential to meeting tests along the way. or at MacArthur which works in 60 countries around the world – hearing the stories of fishermen in Fiji, trying to understand the Islamist group Boko Haram in Nigeria, supporting women of the Don in Rostov Russia, trying to comprehend the enormity of the Rwanda genocide in conversation with a survivor who lost his whole family. In the 1980s as the Iron Curtain weakened and fell, I was Chair of the Human Rights Group Helsinki Watch and later became Chair of Human Rights Watch worldwide. The listening and empathy skills I learned at Spade and Grave were responsible for my rise within the human rights movement. I recall being present in Prague October 1989 on the day the Velvet Revolution began, talking with Havel and other dissidents about whether a big demonstration was, in fact, the beginning of the Revolution. On another occasion, Mrs. Jimmy Carter and I talked to Boris Yeltsin about his feeling that the Soviet Union would disintegrate as it did within a year. I can still recall meeting with Lithuanian President Landsbergis in his barricaded office in Vilnius as Soviet troops sought unsuccessfully to crush Lithuania’s independence movement. I listened in a different way, had instincts about what was happening, was able to help strangers under pressure think about their choices of action. I thought of this theme last month when I met with the leader of the opposition in Tunisia and heard his analysis about where the Arab Spring was headed in his country. I was in Tunisia for a conference on Academic Freedom organized by Scholars at Risk of which I am now Chair. If I were doing my autobiography today – about 50 years from my presentation in fall 1964 – the headline would be the central importance of my human rights work to my life. You who are about to graduate and you who are entering Spade and Grave, have a long life ahead. Family and career will be important but save some time for civic engagement. My work at Human Rights Watch has been the most meaningful and satisfying part of my life. So I end where I began: being engaged in community organizations, issue advocacy groups, as well as religious and service institutions, will add value to your lives and make a difference in our society as we search for a more just and humane world at peace. And as you feel the difference you are making, you will take heart that the deadly forces of fatalism and despair can be turned back by the power of individuals coming together directly, unmediated by governments. That is the way of the future in our race against global warming; against the ravages of AIDS; against the growth of terrorist networks; and against the potential of social explosion, as rising expectations clash with the stubborn persistence of poverty. The most powerful force for good in our time is the worldwide mobilization of citizens to act directly: sometimes to supplement government action, sometimes to resist it; most often to bring compassion and competence, hope and determination, when formal mechanisms fail. I hope that you will all join in.